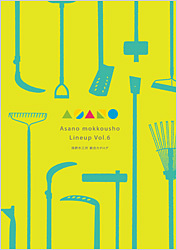 Purpose · Application · Position to use - Asanomokkou-sho co ltd is the tool factory for gardening,Snow removal,Road construction and Leisure in JAPAN . We will introduce recommended items according to posture · how to cut in case to use! When you click on the corresponding link, the product list corresponding to the purpose is displayed. Do not you think that mowing is a work to keep sitting with a sickle for a long time? There are places where you can not sit down in a narrow place. In fact, at that time there is a sickle that can stand and grass. Why do not you choose a sickle, considering your mowing work attitude? There are various kinds of grasses, such as weeds, weeds, mowed grasses, mild weeds, thick stalks, etc. Do not you think that choosing a sickle to match the type of mowing grass will make it hard to cut down? Let's choose a sickle from the type of grass to cut at this opportunity. It is actually necessary to choose a sickle according to the purpose of mowing. I'd recommend choosing a sickle, thinking "what to cut". Choosing a sickle from the way to cut, such as wanting to cut grass so as not to hurt the roots of the garden tree, can choose a sickle according to usage. We will introduce recommended products tailored to various work of field creation! When you click on the corresponding link, the product list corresponding to the purpose is displayed. To choose a hoe that is hard to get tired, it is also a point to think about the height of a person using the length and weight of the hoe, and so on. Choosing a hoe according to the soil and geology used may actually work very tiring. With a soft hoe with a light hoe. A hoe with a certain weight when plowing hard soil. Why do not you search for a hoe of the weight that matches your purpose first? There is a hoe with a function that can do multiple things with one tool. I would like to have a tool but it is useful when there are few places to put it. Even with one tool, we change the orientation and shape of the blade to find hoe that can be used in various ways. Maintenance after using any tools is necessary. I will rust the steel of the hoe as it is. Why do not you find a hoe to match the usage of each stainless steel hoe, a hoe when you want to keep it steady and last longer?